We love our location right in the heart of St. Louis. We aren't north county or south, nor are we downtown or west county, but right in the middle of our wonderful metro area. While being in Clayton has many advantages, space is at a premium. This can sometimes make parking a challenge. To help remedy this situation, we are currently constructing a two-level parking garage for our guests and members, located just south of our sanctuary building. As with anything new, there will be a period of transition. We've assembled the following "FAQ" to help make your next visit to Central easier. Q: When will the garage be open? A: The current schedule is for the Student Center to be substantially complete by May 30, the garage by the end of July, and the site work by mid- to late August. Most of the site work will need to be completed in order for the Student Center and garage to be accessible and usable. We are hoping to pick up some time now that we have good weather. As you know, things can change with projects of this magnitude, so watch this space for updates. Q: May I park in the neighborhood until the garage is ready? A: Effective June 1, the answer will be “no” Monday through Saturday. 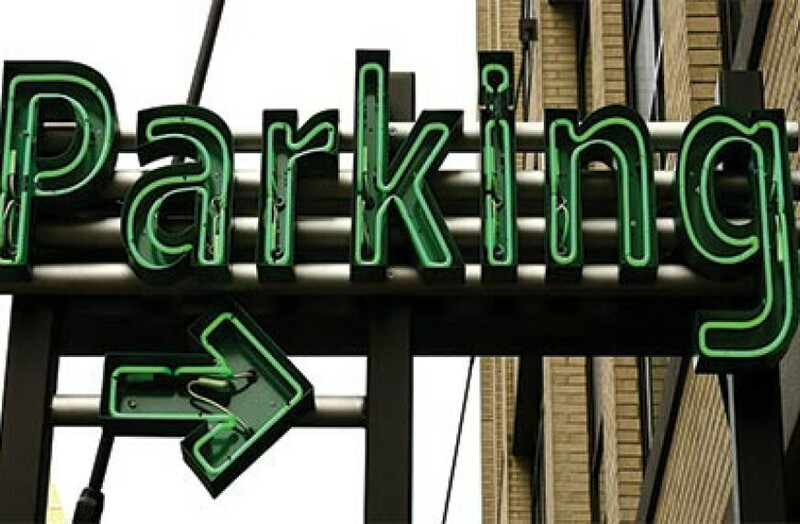 On Sundays, you may park in designated areas in the neighborhood from 8am to 1pm. As always, please be observant of all parking signs, and be sure to leave plenty of space around our neighbors’ driveways. Q: Will a shuttle bring me from a remote lot to the church? A: Yes! On Sundays shuttle service will operate between Central and the remote parking locations. During the week, shuttle service may be available for certain larger events. Please check the events section on our website (centralpres.com/resources/calendar) or contact the church office at 314-727-2777 to verify shuttle service for events taking place Monday-Saturday. Q: Where are the remote lots located? A: There are three remote parking locations: In the Central Christian School garage (700 South Hanley Rd. ), at the northeast corner of Hanley and Clayton (site of the former Schnucks store), and at 7930 Clayton Rd, behind the former Layton’s restaurant. Q: My child is in PEEPs. Will I still be able to park on Biltmore when I drop her off or pick her up? A: Yes, but only in the designated drop-off/pick-up zone. Basically, you will only be able to park your car in front of Central-owned property. Once the garage is completed, PEEPs families will be able to park in the garage and have direct access the nursery through a new rear entrance.